Two weeks into the New Year may be a bit late, but I’m inclined to reminisce about life as I knew it a decade ago. I feel like, you know, doing some spontaneous memoir-izing. Indulge a few fond ‘memoiries,’ if you will. 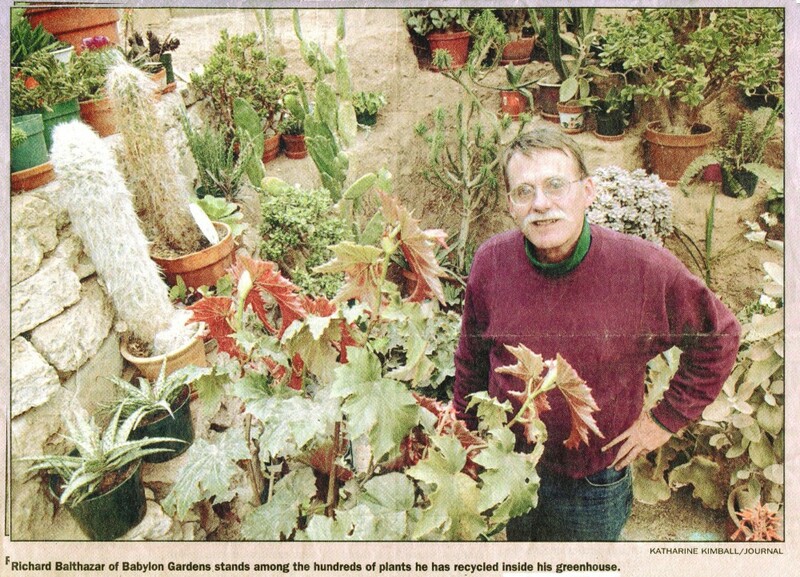 Let’s look back on when I was still the Grandfatherly Gay Character around Santa Fe, 2005-2006, sole proprietor and employee of Babylon Gardens Salvage Nursery. Oddly, of my two previous careers, it was the most wonderful and fulfilling. Though I’d supposedly “retired” on early Social Security in 2004 from a long career of arts administration, I‘d kept on working half-time in local nonprofit organizations (including education, health care, and philanthropy), for minimal compensation, of course. 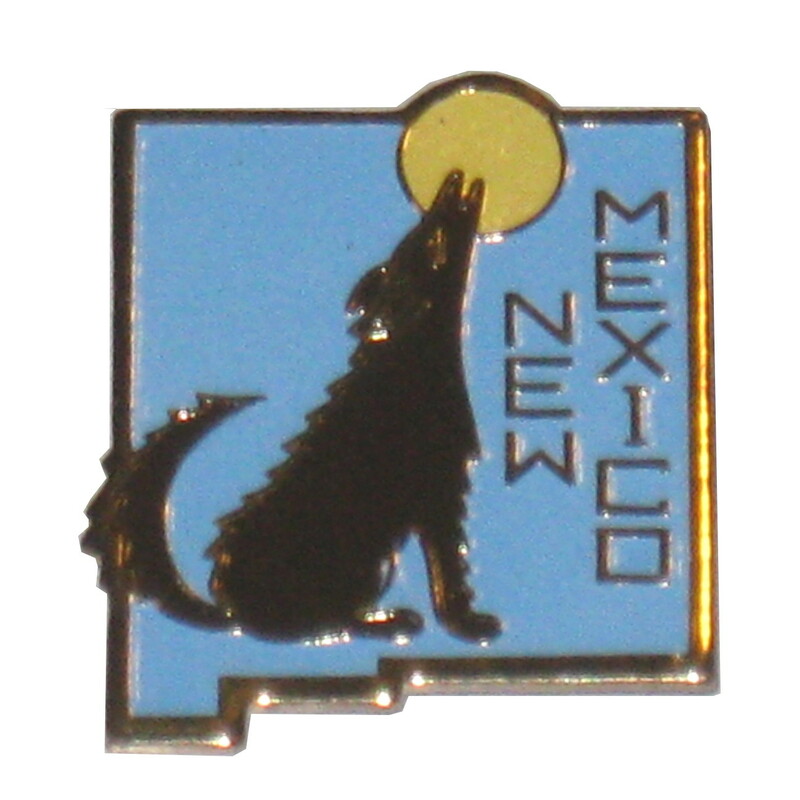 For some years I’d been happily working on grants and technical assistance programs with the Santa Fe Community Foundation and then in April 2006 decided to move over to manage a new state-wide organization of nonprofits called NGO-NM. The sad finale to my illustrious administrative career was having to close that worthy effort down at the end of the year. I still have the incised plastic door-plaque somewhere. My 2005-6 season (speaking both academically and organizationally) started quite dramatically in August with Hurricane Katrina. Residing in Metairie, my elderly mother (87) lived through it, sheltering at Bonabelle High School. Of course, that’s a remarkable story in itself. When she finally made it here to New Mexico—on her own! —to stay with me, I convinced her to write about the historic event for her descendants. Soon I should type it up and post it for them and you. In late November 2005 when at least Metairie was back to functioning again, I drove Mother home. Miraculously her home was essentially undamaged, no flooding at all as it stands atop a vestigial ridge between Lake Pontchartrain and the Mississippi. A few blocks north or south had been six feet under water. Personally, I’m inclined to attribute her good fortune to a Kwan Yin I’d given her. Compassionately, the female Buddha still stood on a console directly across from a thin aluminum picture window to the southeast, having apparently peacefully faced down Katrina, the monster storm of the new century. Meanwhile the big maple at that corner of the house had snapped off about four feet above the ground and merely fallen on the yard. As if I weren’t being creative enough with the organization work, soon as I got back to Santa Fe for the holidays with my local family (grandson then just over three), I went back to work on my weird linguistic hobby of some 40 years, a structural definition of the innocuous English verb ‘get.’ By the time I started with NGO-NM, it was ready to publish with http://www.AuthorHouse.com, then under a different name, entitled “Getting Get, the Glossary of a Wild Verb,” which came online in November. Sometimes since, I’ve humbly suggested to forbearing friends that this absurd little pamphlet could well be my work of genius. If only anyone but I were eccentric enough to see its simple profundity. GETTING GET is posted on this website for free download. Just right click here and do it. You probably already know, however, that Santa Fe’s notorious for poor folks having to work multiple jobs to get by. 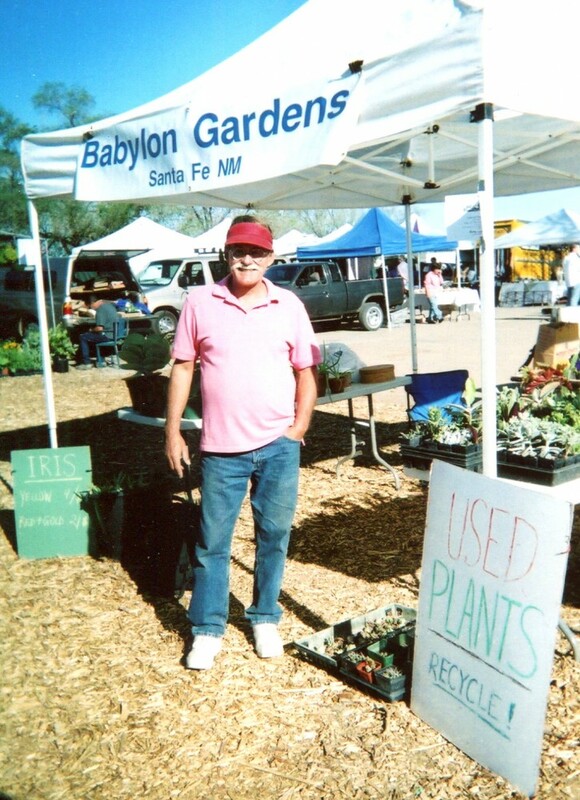 Accordingly, besides organizing stuff and defining the wild verb, I spent a miraculous third half of my time as the famous Used Plant Man at the Santa Fe Farmers Market. In honor of my signature product, in the summers I turned into the infamous Iris Man. Every Saturday morning, and Tuesdays in summers, I peddled previously-nurtured, restored, or recycled house plants. Not mention that in my spare time I did what I cleverly and artistically called ‘land-shaping,’ which involved terracing, rock walls, and laying flagstone patios. In other words, I played around digging in various folks’ yards, gardens, and sandboxes. 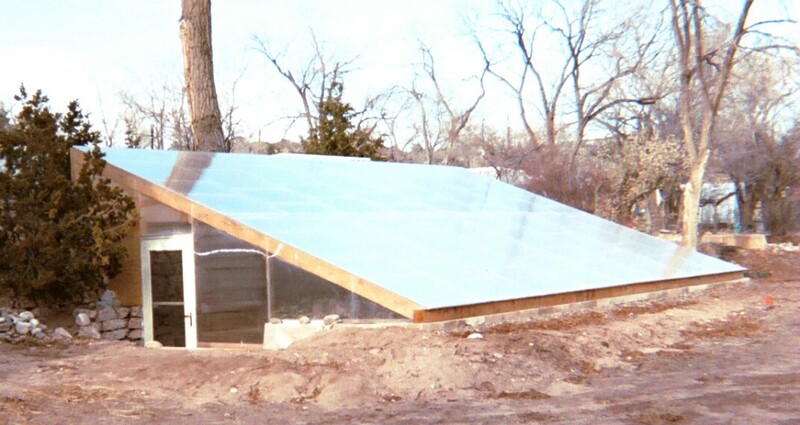 That greenhouse was of my own design and construction. I called it my ‘greenhole,’ literally a hole I dug six feet deep and slapped a plastic roof over it . 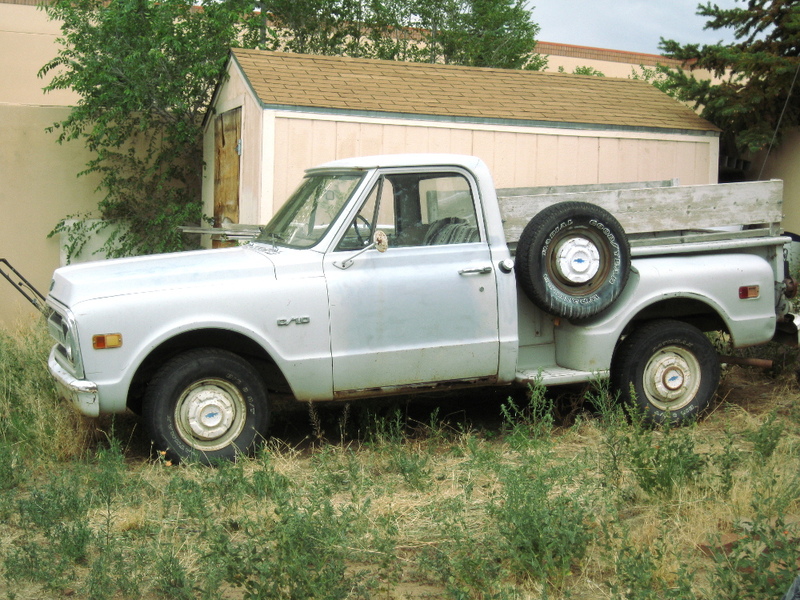 And the gallant Grover (the Grey, like Gandalf), a 1970 Chevy C-10 pickup. Grover hauled load after load of plants and paraphernalia through so many pre-dawns and then stood nearby for thousands of touristic snapshots of a typical Santa Fe scene. available for free download by right-clicking here. While we’re at it, I want to share with you a picture of one of my favorite plants in the greenhole. Soon I really should do a post with more stuff on the wondrous plants I had in there. 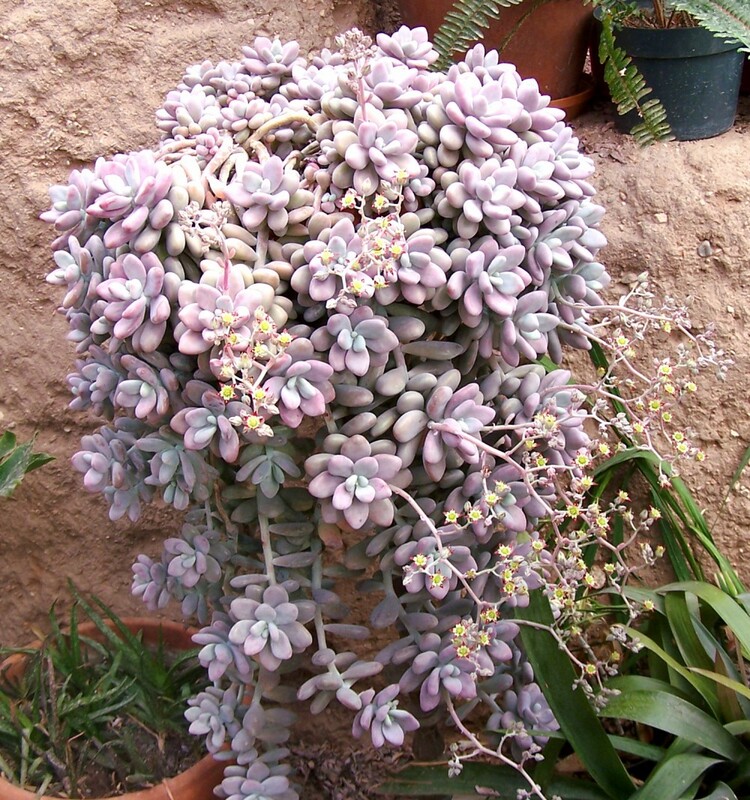 This one has an outrageous Latin name I loved reciting to folks: pachyphytum oviferum amethystinum (fat-leafed, egg-shaped, amethyst). 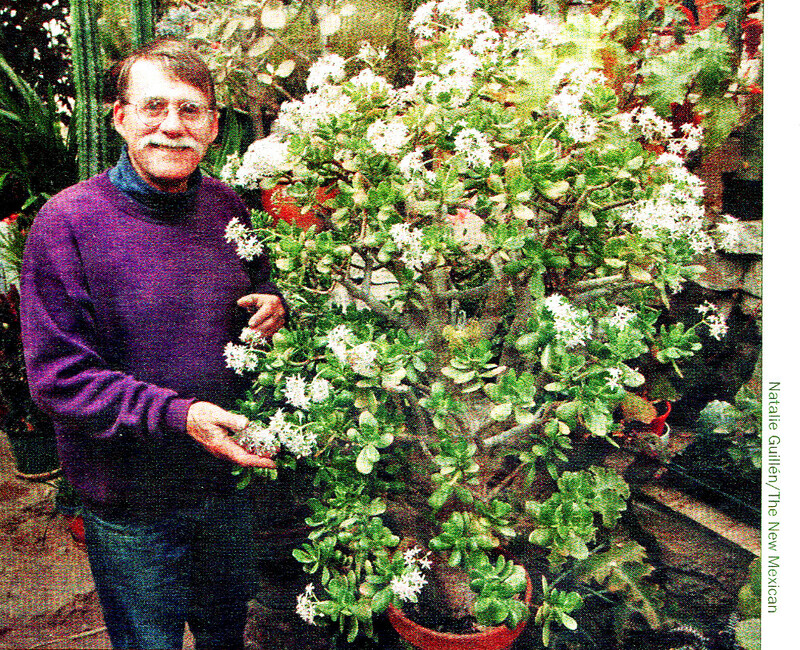 Here it is in bloom in 2005. The Farmers Market always went outdoors somewhere in late April around my birthday, and in both the 2005 and 2006 seasons that was on the wide-open corner of Guadalupe and Cerrillos skirting the railroad tracks behind SITE Santa Fe. In my humble used plant vendor opinion that point out there in view of two busy streets was the perfect, I mean the ideal, location for our wonderful community market. In years past we’d simply popped up our tents, if we had one, further north along the tracks across Paseo de Peralta behind Santa Fe Clay. (And in years before my time, it had been in the parking lot of Sanbusco Center.) Now almost all the vendors, including makeshift Babylon Gardens, flew a white canopy like a flag to be seen from all around. We were truly a spectacle of folk life that made me proud. As a matter of fact, it seemed a vindication of the pleasure a certain clueless kid once enjoyed in peddling peaches in a booth beside the highway. It was that splendid interaction with people around a subject you deeply love and the thrilling opportunity to share the work of your own hands with them. Every day, even the slow ones, I loved the glory of hawking my beautiful plants, talking about them and how they like to be treated. In a word, it was a trip. Ironically, the fortuitous move from the hinterlands of the railyard up to this prime spot was caused by big city projects afoot for the neglected old railyard. I believe the powers that be moved the Market out where people could see it to get support for the new building they were preparing in those same hinterlands as an indoor place for us in the winters. Among other opponents of that project, I felt the current arrangement, as I said before, was ideal. For the winter seasons, we’d been going indoors at El Museo Cultural, and vended there happily, even with poor lighting and no call for flashy tents. It felt very folksy, local farmer cultural. But the majority of vendors, or at least the power that were at the time, had their hearts set on a fancy market hall like in Boston or Seattle or wherever. This ambition caused a whole bunch of trouble, but don’t get me started. (Can’t help it. For just a few repercussions. Before the building was even done, the Trust for Public Land and other powers kicked the Market off that superb spot on the busy corner to make the new Railyard Park. I suggested, clearly not vociferously enough, that they design that great space on the corner for a fancy open market plaza for us farmers and for other fairs on other days. Irony Alert: My sweet old vending space is now in a rotunda of rose gardens where few people care to walk. Roses to be smelled and not sold. At any rate, between Market days Grover and I would tootle all over town and even out to Espanola or Eldorado to grub freely in folks’ iris beds or do plant rescues or paid land-shaping jobs. It was a splendid gimmick, an ingenious concept if I say so myself. I provided a free, much-appreciated community service and turned my (minimal) physical labor into totally free merchandise. No overhead except gas for good old Grover. Good job for an old guy. Sometimes I’d simply show up at a business or office building, like that time at the Toney Anaya Building when I marched in and told the receptionist, “I’ve got a giant jade tree that wants to live in your lobby.” A couple times I simply arranged for gigantic plants to go to great spots like at the Capitol complex or other public spaces. They had to do the hauling though. 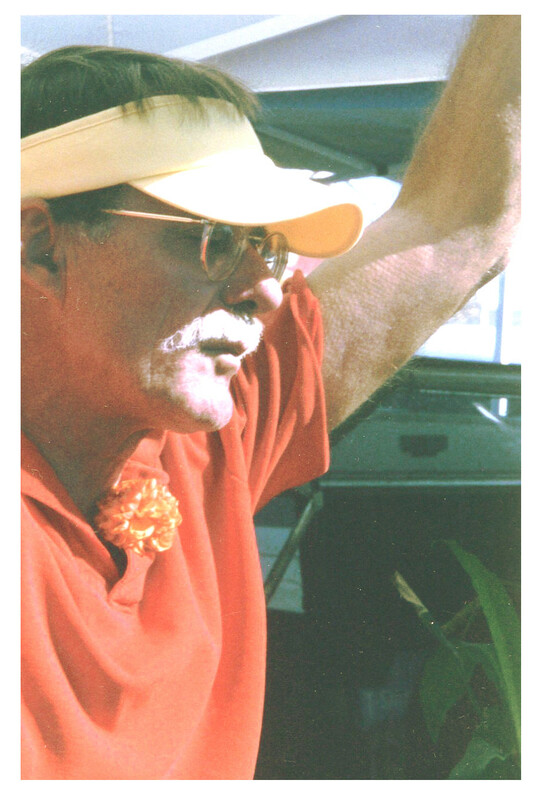 A decade ago I was a plant freak in his element, and my only problem was believing what a happy old man I was. Even older now, I’m still a happy fellow—and I believe it. While I was digging around in the piles of stuff we surround ourselves with, I was very pleased to find some forgotten photos and rediscover some more pieces of my sculpture, which I’ve just added to the gallery. Check it out. Since I’m now in a leisurely mood, I think I’ll run off at the keyboard about the newly remembered pieces with attempts at artist statements. In case they’re helpful in inspiring your aesthetic appreciation. 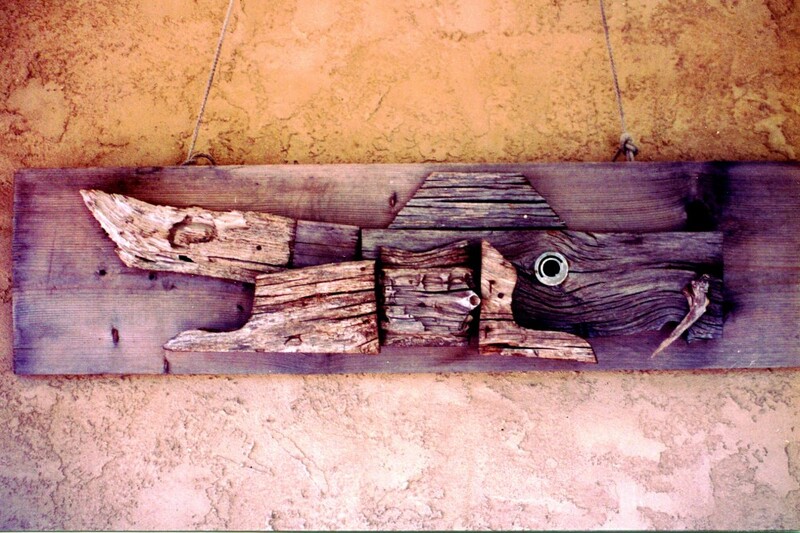 Boy on a Dolphin: This is the first piece I ever sold—at my first show. 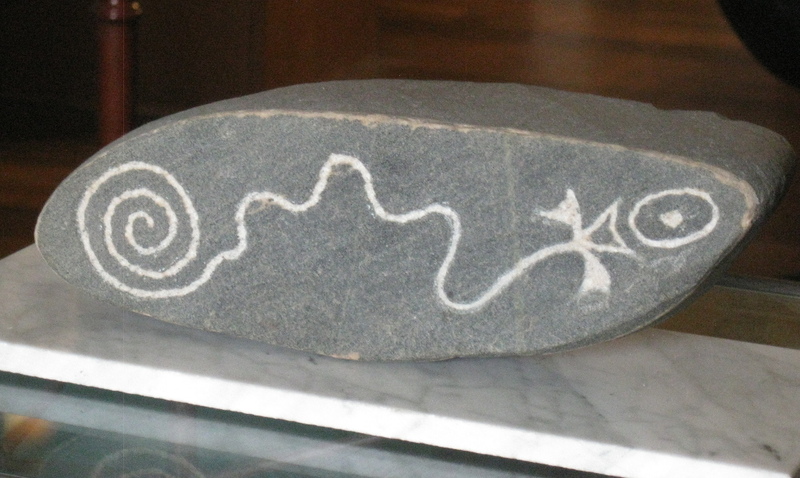 It’s composed of two pieces of old iron (like plow-points or teeth of some kind) on a micaceous stone wave. 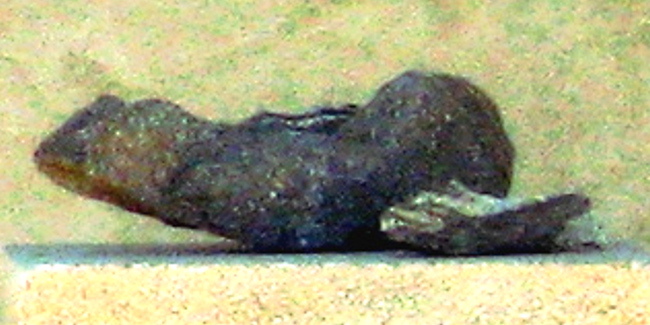 The upright boy was found in the DC area in the 70’s, the dolphin was found in New Mexico in the 80’s. When I put the two pieces together, they echoed that prehistoric/modern Cycladic art of the Minoan era from around the Aegean Sea. Though at the time I didn’t know from Cycladic, I heard the Art loud and clear. 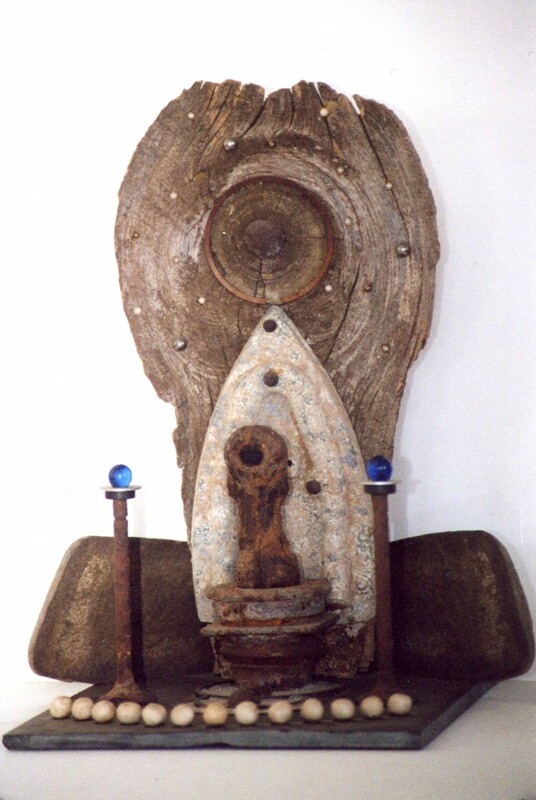 Dark of the Moon: The most complex of all my assemblages, this shrine includes wood, stone, metal, glass, magnets, ceramics, lava, white sand, and (apparently) rubber, all on a slate panel. It’s one of my favorite pieces, but it sold in my second show and moved to California. Zoom in on the surreal details, like the ball-bearing stars. There are even piston rings. The true enigma is the figure on the altar with the dark visage (rubber?). 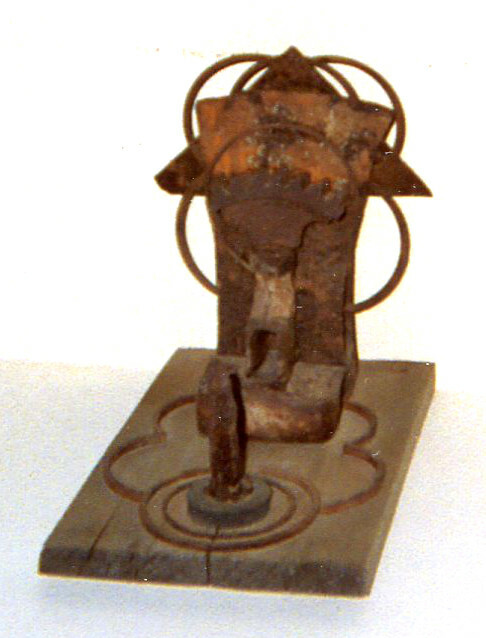 I once found a similar piece, but less detailed, and the “head” was empty. The centered “dark moon” globe on the “sky” backdrop is a spherical lava geode, and the 13 irregular porcelain “white moons” are for the visible stages. What does the dark of the moon mean to you? To me it’s connected with a verse of Robert Herrick’s poem “The Night Piece, to Julia” that I’ve quoted elsewhere. Starting, “Let not the darke thee cumber, / What though the Moon do’s slumber?” the verse embodies my refusal to live in fear, which I mentioned emphatically in a recent blog on fear and violence. Cipactli: Being an inveterate curiosity collector, one of my stash piles was of interesting weathered wood. Over the years I’d walk by and occasionally add another piece as inspiration seized me to the plank lying on the ground, and either the pile or the sandy New Mexico dirt (spontaneously?) spawned this Earth Monster of Aztec cosmology, cipactli, the first day of the month. 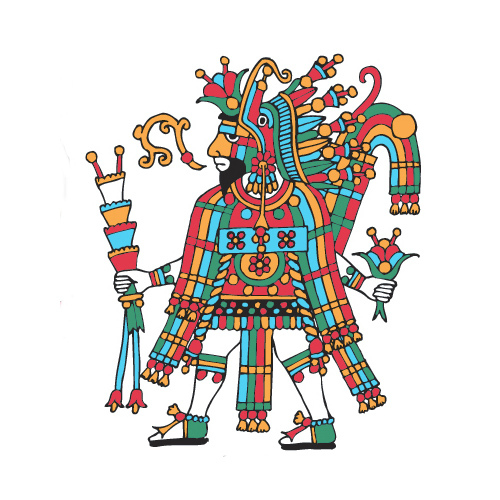 The primordial one that ate Tezcatlipoca’s left footwhen the Black God defeated it and created the First Sun (world) on its back. I like its mythic animistic Art. The Monster went from my first show to a friend of my Farmers Market days. Tepeyollotl: Another Aztec shrine, this is the Heart of the Mountain. I can’t resist listing the components on the board: two axe-heads, one broken; broken hammer-head, fragment of gear-wheel, sheet-iron triangle, and multiple piston rings and pieces. 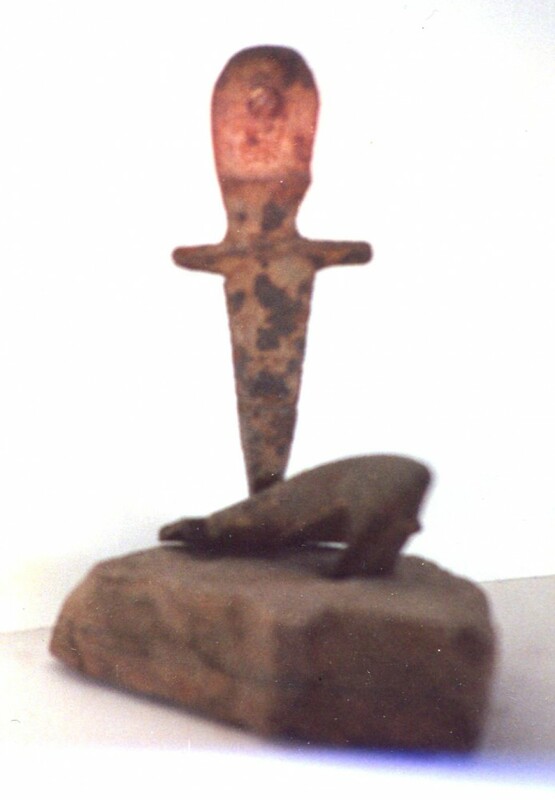 In the foreground stands a heavily rusted chisel-pointed spike on a magnet with fallen rust flakes clinging to it, and the base is a grindstone from an electric drill. It went to another Farmers Market friend. 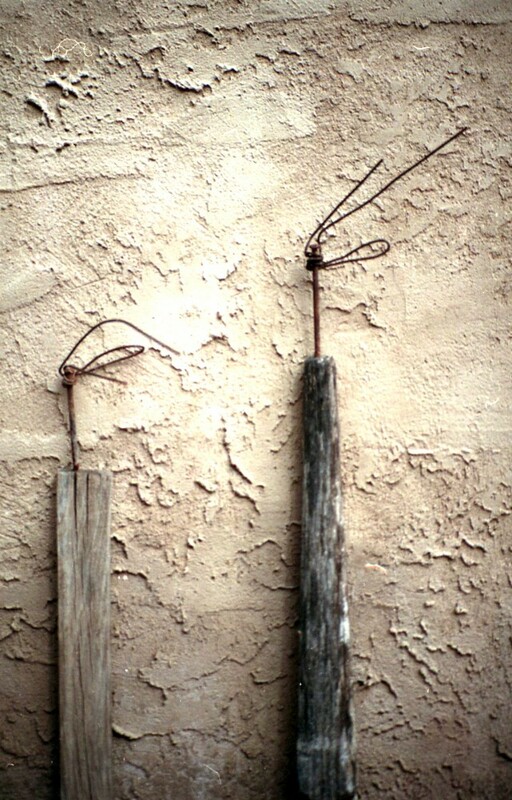 Signifires: Regrettably the clumsy photo shows only two of the three installations on weathered wooden posts mounted on a long, narrow board, another of my favorite early pieces. 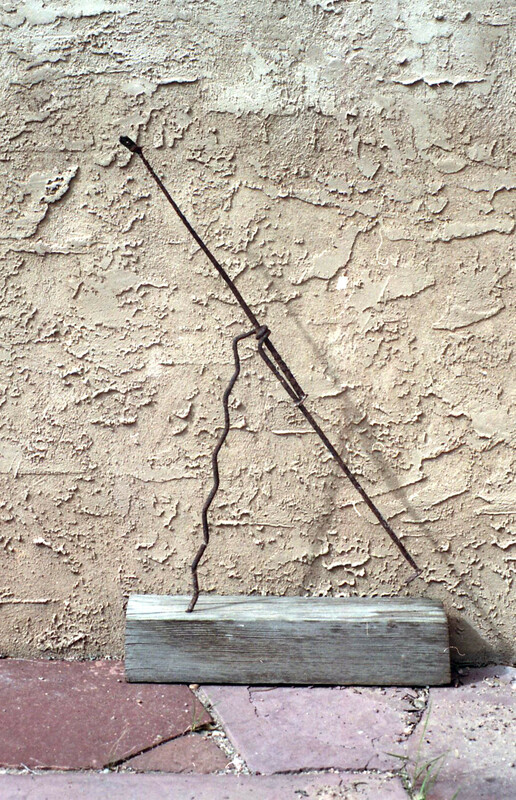 On a much shorter piece of wood and at a greater distance, the missing third is an identical rusty nail with identically twisted wire around it with loop and free ends waving like flames or smoke in the wind, signal fires. At least that’s my artist’s rationale for the feeble neologistic title. But of course they might also be misspelled signifiers. But then what might they signify? I find the back-story on this one astounding. Over the course of many (20?) years, I found and kept each of the (identical) flaming/smoking nails singly in open/wild places in far-flung locales I’ve now forgotten. Probably one here in NM. Maybe Florida? But identical! 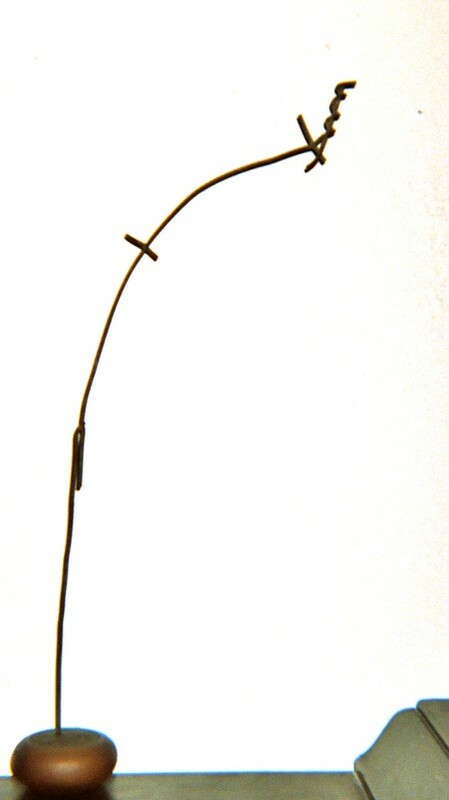 Same gauge nail and wire, same wire-end and loop length and orientation. Nevertheless, someone bought the tri-incidental (or is that transcendental?) Signifires from my first show. I treasure the poor photo for the messages its two fires still convey. Strident: Here’s another piece of SGA, more proof that Art, like Beauty, is in the seeing. What I see in this inscrutably functional found object, in helpful combination with its multi-layered title of course, is Art on a par with that of Giacometti. I can justifiably claim such excellence because I didn’t make it. I merely came serendipitously along, saw its Art lying in the weeds, and called its name. That late world-famous sculptor probably wouldn’t have minded the impertinent comparison. A discerning Santa Fe collector bought it from my second show. While we’re on the topic of SGA (Spontaneously Generated Art), I want to pull a couple pieces out of the gallery to show what I mean about seeing the Art in things you find by the roadside of life. 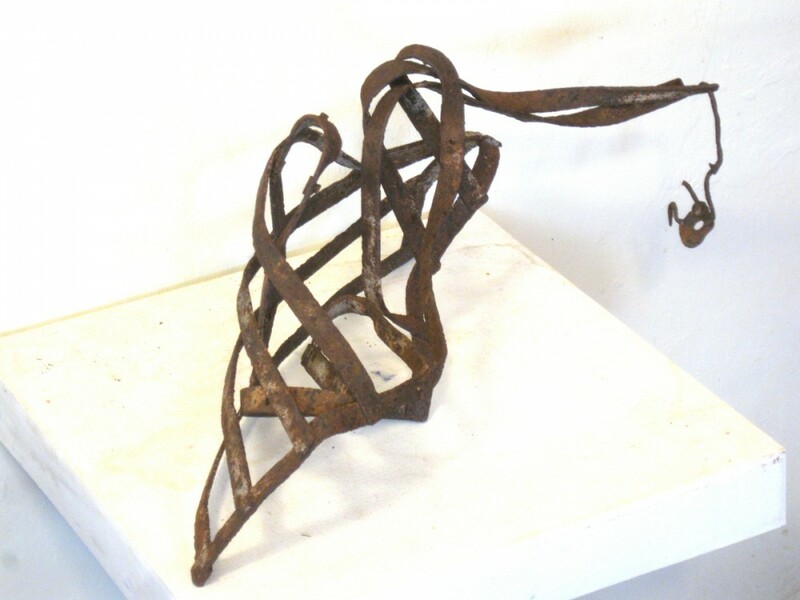 In both bent and mutilated found objects I saw their inherent Art, a transformation they had spontaneously achieved through an unknown, but clearly violent, history. SGA, if I may presume to define it, is initially a creation of human hands, but then it is transformed by time and elements, i.e., by cause and effect, or more crassly chance, into something that somebody, often me, sees as SGA. Remember, Art’s in the eye of the beholder, and seeing it creates it. Rainbow Man: Lying in the dust of a path, the Rainbow Man waved to me, and I instantly recognized his Zuni attitude. His curly head now bows over a clump of cactus on my balcony. I don’t know what to make of him. Do you? Predator: I’ll try and sneak this into SGA, since I only added that tiny prey dangling from its beak. It’s meant merely as a grace note on the Art espied in this metal something mangled by mysterious forces, which I found rusting in the middle of a field. The avian predator is visible from several angles and is particularly effective perched on a rock. As one of the more primordial elements of reality, predation still has terrible meaning in our dog-eat-dog world. It’s both inevitable and inescapable, the process by which all life lives. On permanent loan, that’s how this raptor is installed in the backyard of a neighborly friend. That was rather fun rummaging through my amazing sightings of Spontaneously Generated Art. Maybe I’ll devote another blog to it sometime when I feel like blathering again. After all the work these past several months finishing and posting two literary pieces (the novella BAT IN A WHIRLWIND and my gay memoir THERE WAS A SHIP), completing and posting my next Aztec icon (ITZPAPALOTL, the Obsidian Butterfly) for the accumulating coloring book YE GODS!, surviving fairly merry holidays, and starting a happy, hopeful new year, I’m now taking a breather of sorts. However, constitutionally incapable of totally disengaging, I’ve shifted writing gears and in my idle time started in on a sci-fi epic inspiration from my box of intriguing ideas. In the unaccustomed leisure of the past week, I’ve also played in some of my other artistic frivolities, like manipulating photographs. At some point I’ll be able to post some improved shots in my photo gallery. Check out the current stuff anyway. In the past few days I’ve photographed some more of my collection of others’ art for a future blog post, probably quite soon. In digging around, I stumbled on a couple interesting sculptural items of my own proud handiwork to add to my sculpture gallery. First, I’ve got to confess very contritely to doing something that most artists in Santa Fe won’t admit to doing—as too trite and commercial: Coyote Art. But I won’t recant. Recently, I brazenly posted my Aztec icon of HUEHUECOYOTL, the Old Coyote, which I dare say far transcends the trite and commercial. But this wasn’t my first offense. 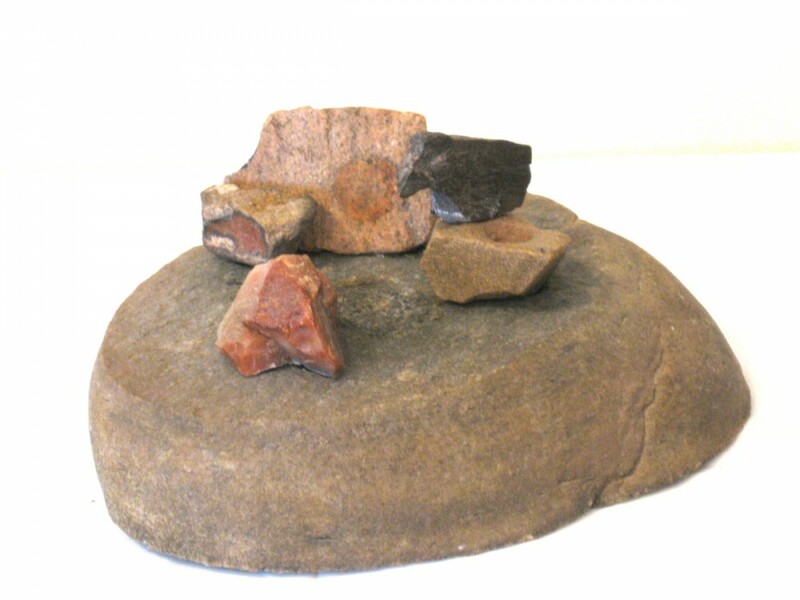 So, although I claim to be a sculptor of found object assemblages, in fact I’ve done a few things in good, old-fashioned stone, though some of those are also assemblages. These are already shown in my sculpture gallery, but let me highlight them here. Canyon Viejo is a split piece of stone in a bowl of sand that makes for a miniature Zen sculpture of a cliff-dwelling in homage to Canyon de Chelly. 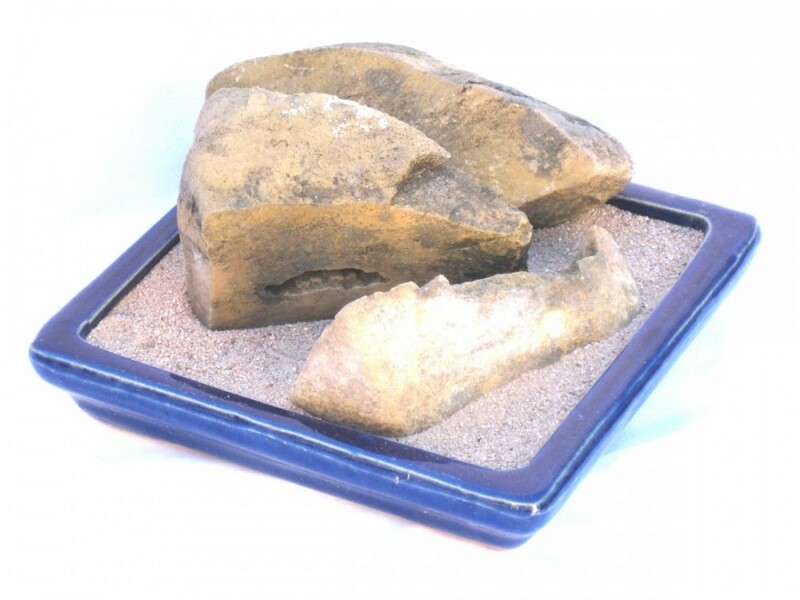 Creeping Creature and Calf is two eccentric fragments of stone found in widely separate locations that called out to me that they are family. 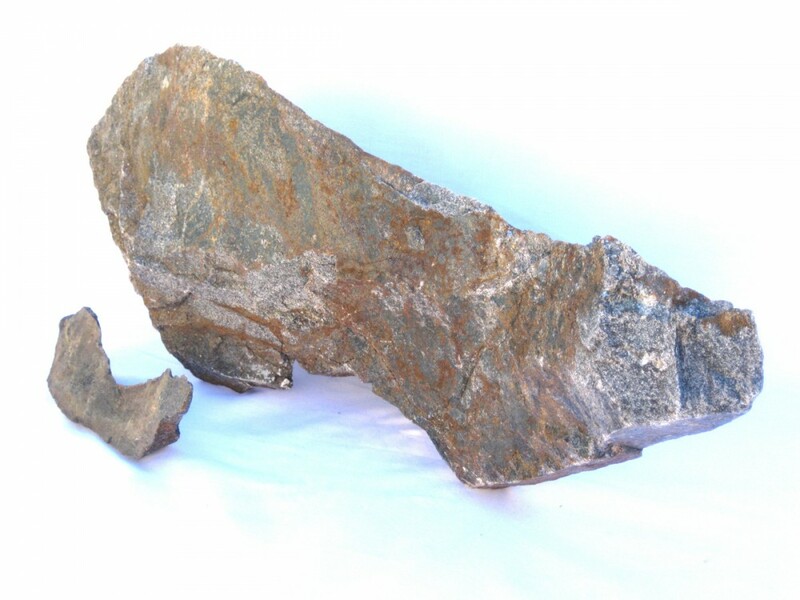 Crouching Creature with Cub is another pair of strange pieces of stone that are clearly related. Lair of the Bear assembles a few ursine and otherwise anomalous stones found in many locations over the years to create a mythical environment. As maybe you can tell, I think art is where you find it.